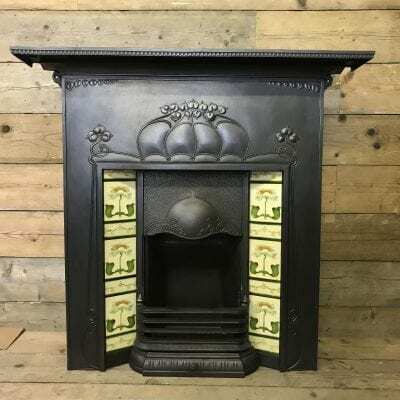 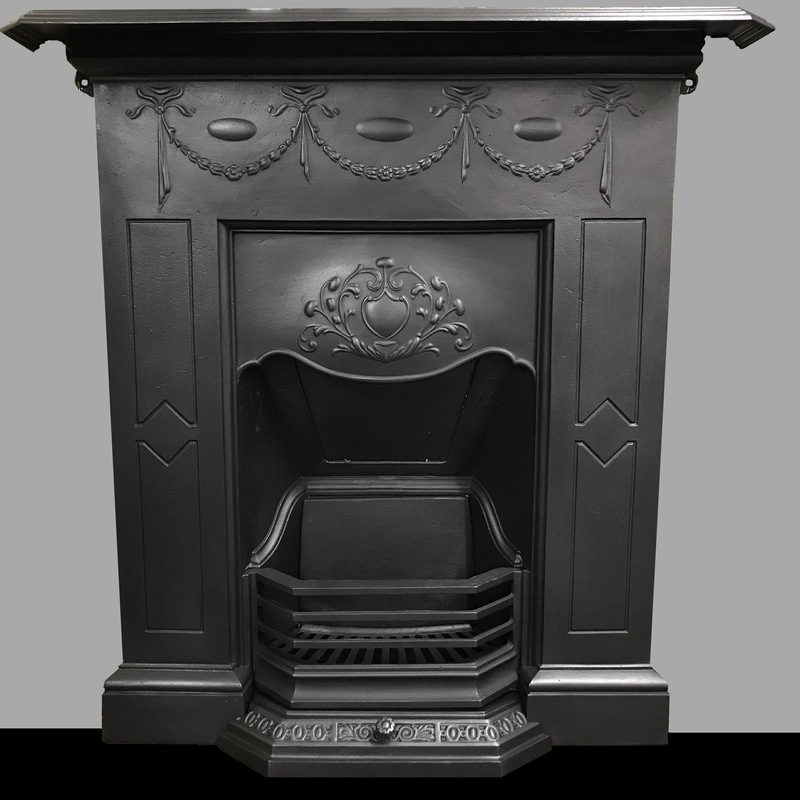 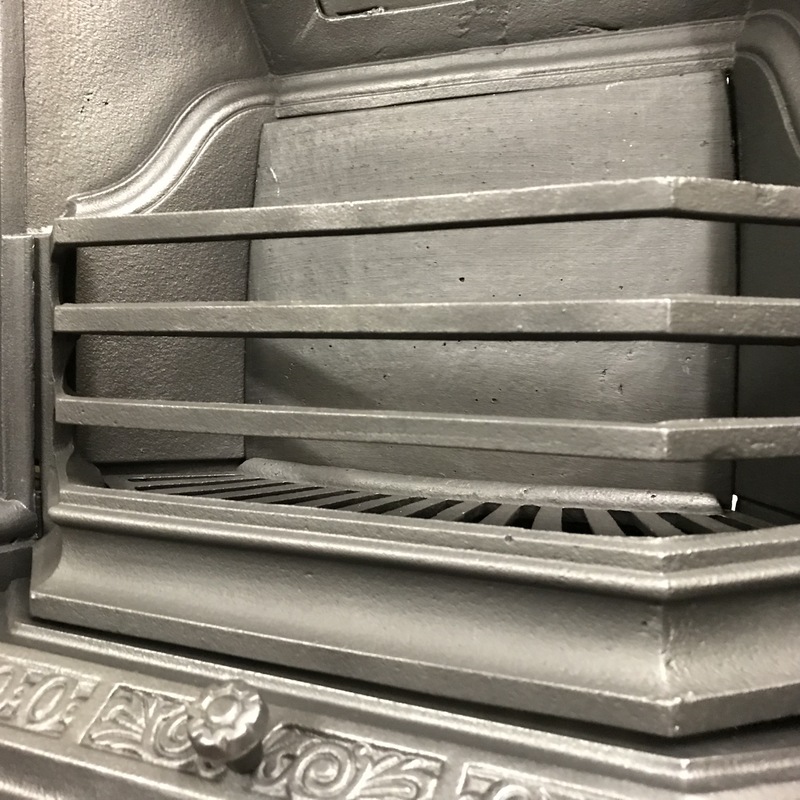 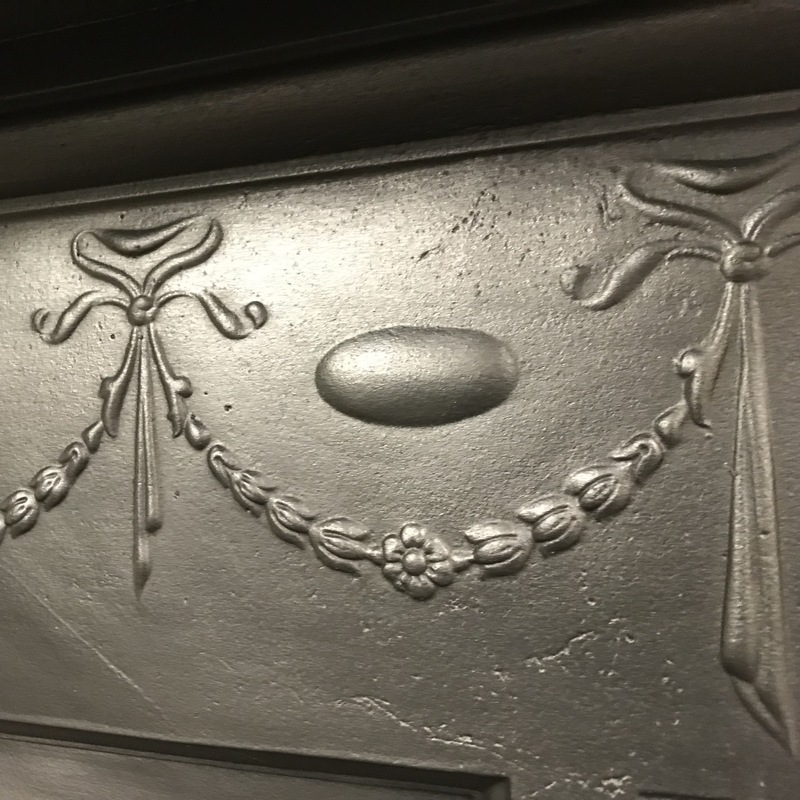 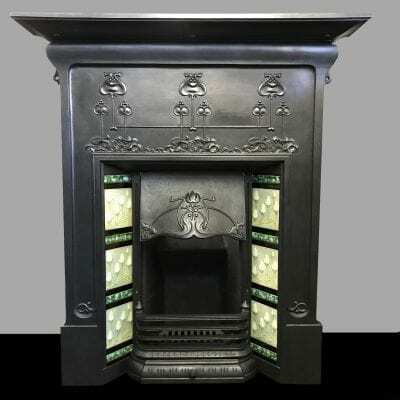 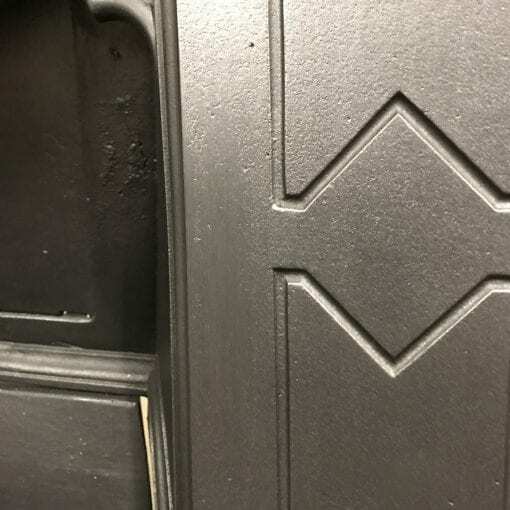 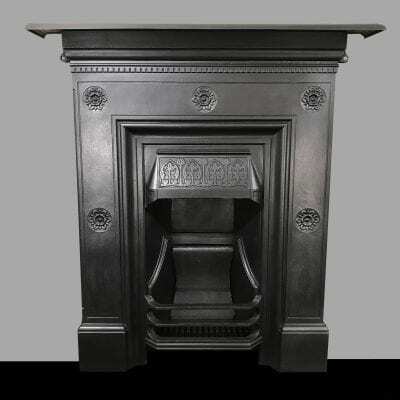 An Original Edwardian combination fireplace in cast iron with swags & bows decoration to the frieze and an Art Nouveau style design to the hood, reclaimed from an Edwardian house in Newcastle upon Tyne. Sunday & Bank Holidays – Closed. 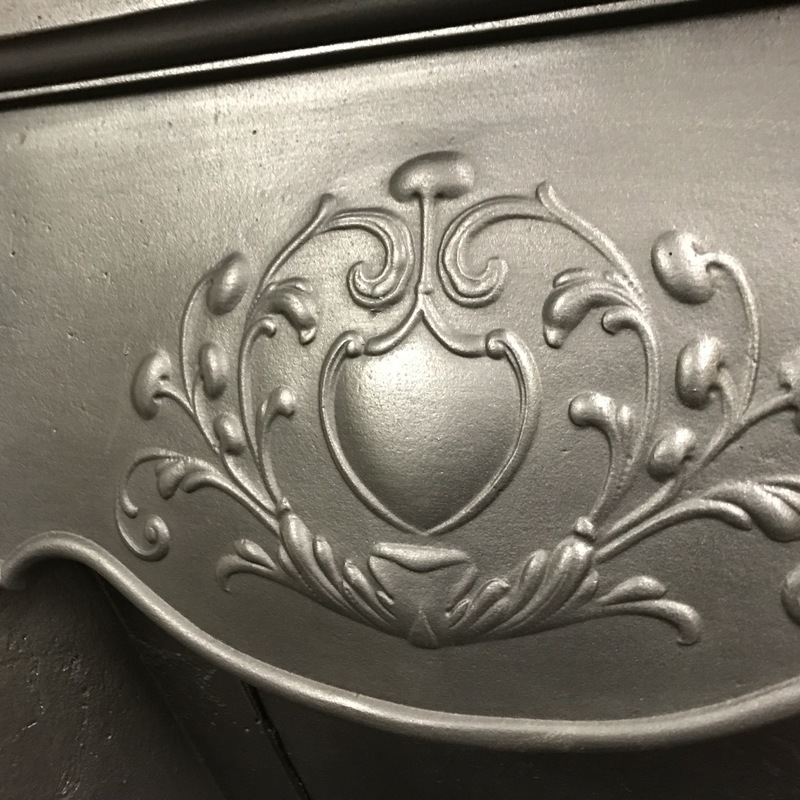 We close for 2 weeks during August & December.